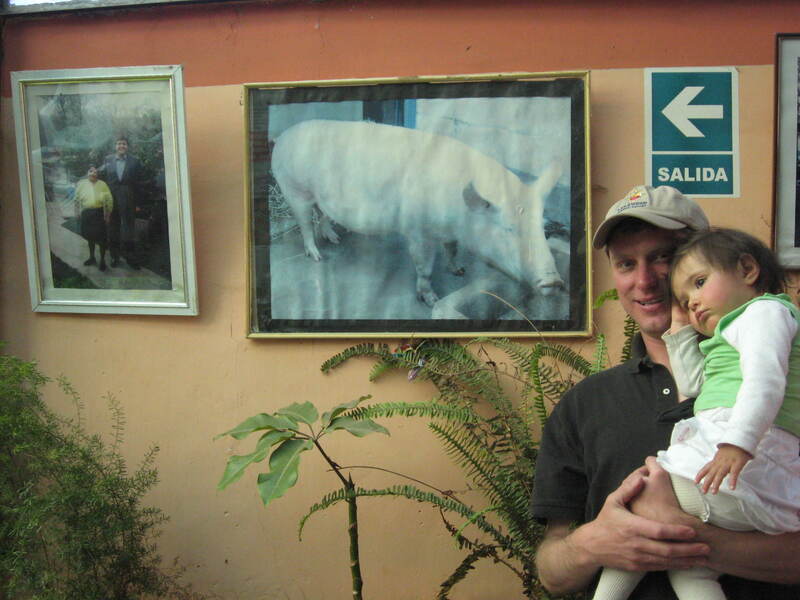 That would be Alan Garcia, current (and former) President of Peru, next to a huge pig – click on the pictures to see full size. 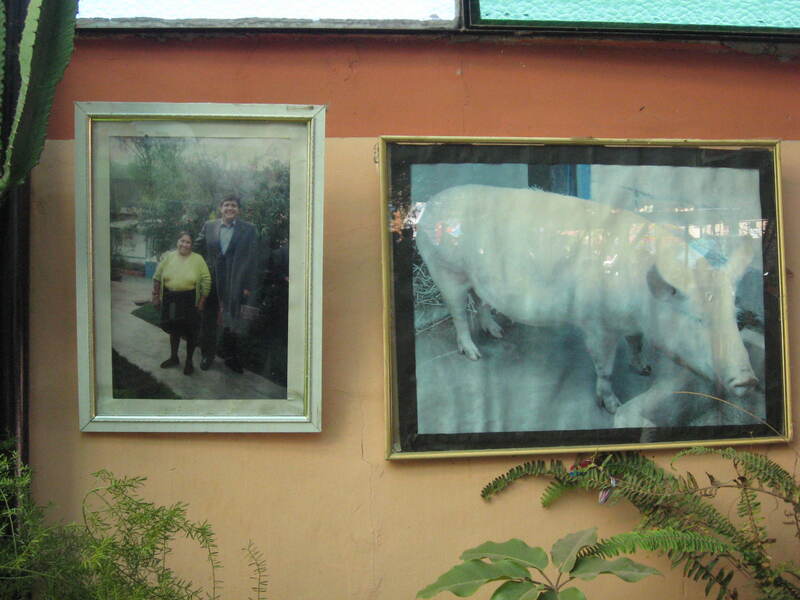 These pictures hang on the wall at a chicharonneria we go to in Saylla, a town just outside of Cusco known for “chicharron” or fried pig. I positively know there’s no pun intended. 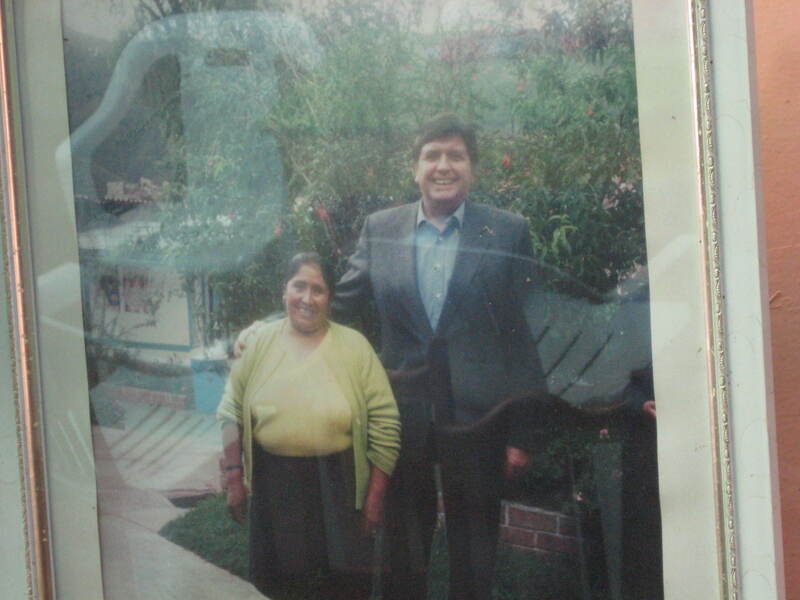 I’ve asked the owner (the lady in the picture with Alan Garcia), and there’s no special relation or political affiliation, they’re just proud that Mr. President frequents their restaurant. This entry was tagged Alan Garcia, Chicharron, food, Saylla. Bookmark the permalink.